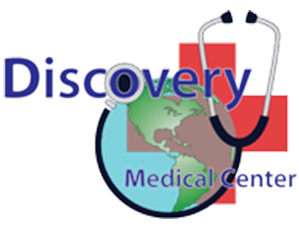 Pekka Soini, MD, FACOG founded Discovery Medical Center, serving the greater Chicago area. He provides a full range of obstetrical, gynecological, and medical aesthetic services for women during their reproductive and menopausal years. Dr. Soini graduated with honors from the University of Illinois at Chicago College of Medicine and served his residency at St. Joseph’s Hospital. He received his surgical board certification from the American Board of Obstetrics and Gynecology. Dr. Soini opened his practice in Logan Square, Chicago to advocate for women’s health. From birth control to birth and beyond, he promotes your health no matter your stage of life. He also has a unique medical specialty in laparoscopic surgery. With a skillful hand and an artistic eye, he produces the most impeccable results. His OB/GYN services also include family planning, urinary incontinence treatment, STD testing and treatment, prenatal care, and gynecologic surgery. He also provides medical aesthetic treatments like Botox, micro-needling, platelet-rich plasma therapy (PRP), and tumescent liposuction. To better serve his patients, Dr. Soini is fluent in both English and Spanish and has privileges at Saint Anthony Hospital. He makes it easy to discuss your most intimate issues and take control of your gynecologic health. If you do not see your insurance carrier, please call our office to see if we accept your insurance. *Your Bill is Your Responsibility. If your insurance company or other benefit program doesn’t cover the entire bill, it’s your responsibility to pay the balance. We expect payment in full within 45 days of being notified of any balance due. Please be aware that some services provided may not be a covered service and not considered reasonable and necessary under the insurance company’s benefit program.